Since January of 2011, I’ve hiked over 3,200 miles in Angeles Forest and taken tens of thousands of photos. Prior to that, I hadn’t hiked much in the forest. I’d only been on a couple trails averaging less than one hike per year in Angeles Forest since my first trek in the 1980’s. I would hike more often in places closer to home like Griffith Park or the Verdugo Mountains. What I discovered last year was a rich and varied place well beyond my expectations. A place I would have frequented constantly starting decades ago if I only realized what was there. For over twenty years I’ve had the guide books and maps to tell me about the hiking opportunities in the forest, but it turned out they didn’t inspire me to go. Weekly, as I completed new hikes and my sense of the diversity and beauty of the forest grew, I began to internalize deeply the meaning of the cliché a picture is worth a thousand words. Descriptions are helpful if one has enough experience and prior knowledge to imagine what is being described. In the past, however, I didn’t know enough to imagine for myself what I was missing. What took a Mt. Whitney goal and all the reasons surrounding it to inspire me into the forest could have easily been accomplished in the past if I just saw enough photos. Seeing (instead of trying to imagine) places I could walk through and views I could see in person would have significantly impacted me to see the distance I needed to drive to get to them differently. These places seem like they should be much further away from the Los Angeles megalopolis. I know I would have hiked a lot more and I would have been healthier for it. So, a key component of this blog is to share many of my photos with you. As I develop this blog further, a more visual approach to sharing information will emerge leading toward an option to navigate the site almost entirely by clicking on pictures. Trying out new trails most every week has also caused me to internalize the meaning of the cliché the map is not the territory. Maps are great and I use them constantly. However, they have important limits. Space constraints on a sheet of paper, for example, prevent all trails (or trail like features) from being drawn on the map. To do so would generate a cluttered and hard to read resource that would be difficult to use. So, there are times on the trail when there’s a fork and it’s not clear how to proceed, or there’s a fork but it isn’t noticeable unless you are on special alert to look for it. While maps do a great job of giving a general overview of a path through the forest; they can’t show the current level of maintenance, how wide the trail is, the skill level required to traverse it etc. I believe this information is of fundamental significance to help you determine if a hike is appropriate in your current state of physical fitness and hiking experience and to give you a way to determine for yourself an idea regarding how long it might take you to complete the trek. Fortunately, since January 2011, I’ve photographed all the trailheads, trail intersections, and much of the terrain along each sub-segment of the hikes I’ve been on. Another major component of this site is to share that information and make it possible for you to better know the territory before you embark on a trek. I have a similar story, started hiking in 2011 after some health issues. 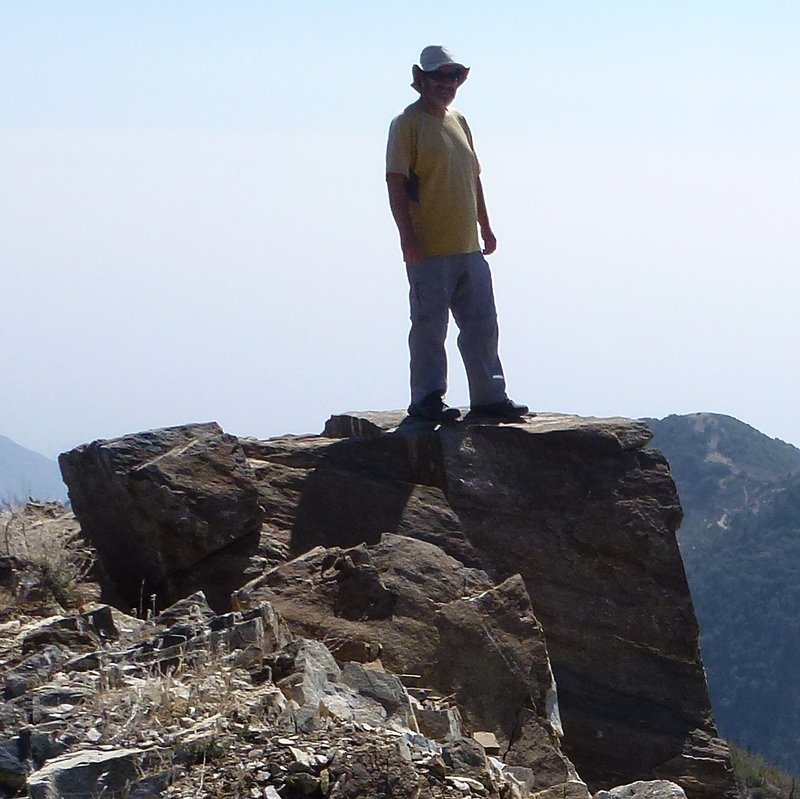 since then I’ve hiked most of the San Gabriels, San Bernadino’s and Cleveland National Forest. Currently hiking the San Jacinto mnts. I’ve got a goal to climb 100 peaks. I’ve done 78, Mt. Whitney will be # 100. Thanks for sharing part of your story. It looks like we have similar attitudes. I’m sure you’ll enjoy Mt. Whitney when you get there. Thanks for your comment. Knowing people enjoy this site inspires me to do more with it. I have been using your site and the Mt. Wilson page trying to cover all trails to the Wilson summit. Great collection of hiking information! Thank you and that’s nice to hear. I expect to add at least one more route to Mt. Wilson this year. It will take a while to see it all, I’m still a long ways away, but it’s a great journey. I’m happy to hear you found me and I hope you enjoy the trails. So glad I found your blog! It’s wonderful! My friend & I were bored with the Santa Monica’s (as much as we love them) so we started exploring the San Gabriel’s 3 weeks ago. Love, love, love the Angeles forest!!!! Awesome site, Kyle, still have to look around more; I too have just re-discovered the forest after living in Los Angeles for about 30 years. I received my calling through art and plein air painting. I hope to see some of the wonders you have discovered and relate them through my own personal lens. Good luck and I hope to run into you out there! Thanks! I’m sure you’ll enjoy what you discover immensely. Thanks Mike. 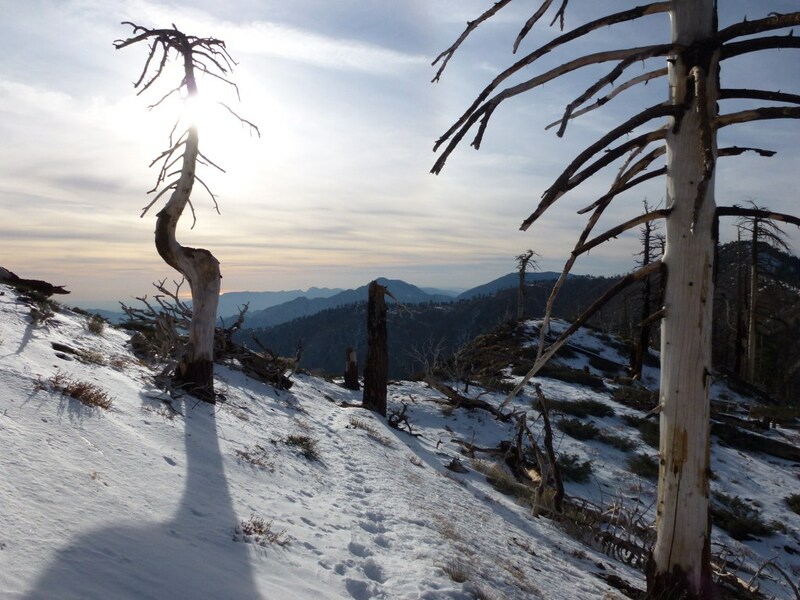 Have a great hike to Baden-Powell and enjoy your trip in the Sierras. I really enjoyed your website and the pictures. I started mountain biking in the Angeles Forest, and everytime I go on a different trail to explore what is possible and what isn’t on a bike. Your site is very informative and the pictures are a great help to see how a trail may look like from another perspective. Keep it up. That’s great to hear. Thanks for stopping by. For biking, you might want to check out the Mt. Waterman area. In summer the ski runs are used as bike paths. Great site. I spent allot of time in these places growing up and really appreciate your work here. Well done! Thanks, it’s great to hear you liked what you saw. Thank you for sharing your adventures and helping to make the outdoors more accessible! It’s amazing to see the diversity and opportunity in that area and I feel inspired to take a hike next time I’m there! You’re welcome, and thanks for stopping by. I hope you have a great time next time you’re here. Quite a few years ago, my brother, a couple of his buddies, and I did Baldy to Wrightwood as a day hike in early November. We were dropped off at Manker Flats around dawn, went over Baldy, over Dawson Peak, over Pine Mountain, and then over Blue Ridge and into Wrightwood. We got to The Yodeler just before dark. It was a pretty strenuous hike, and the north slope of Baldy was pretty icy. We should have had crampons. The stretch between the summit of Baldy and Pine Mt. has traces of trails, but you mostly follow topo and trail ducks. The scenery was more like the Sierras than the San Gabriels. We saw a couple of Bighorns, and the trail was pristine. Not a wrapper or a trace of people’s presence. We had plenty of company ascending Baldy, and then didn’t see another soul until we got to the north slope of Pine Mt., where we met a couple of bow hunters. If I were to do this hike again, I would go earlier in the year, and make it a two-day hike, so I could slow down and appreciate it a little more. I just found your blog this week. Thanks for bringing back some great memories. That sounds like a fantastic hike. Thanks for sharing your memories. I’ve only hiked up from the north once as it takes longer for me to drive to the trailhead on that side of the range. I agree with you about the scenery! Here area some photos: https://hikingangelesforest.com/hikes/photos/north-backbone-trailhead-1-p/, and https://hikingangelesforest.com/hikes/photos/north-backbone-trail-2-p/. I started from the Blue Ridge CG, took the PCT to the North Backbone trailhead and then went up the way you came down (just over 18 miles round trip). On that day (in October) I didn’t see anyone until I reached Baldy and then nobody on the way back. I’ve extended some of my other hikes by adding the short but steep portion of trail from Baldy to the saddle with Dawson Peak when I was training to hike Mt. Whitney. 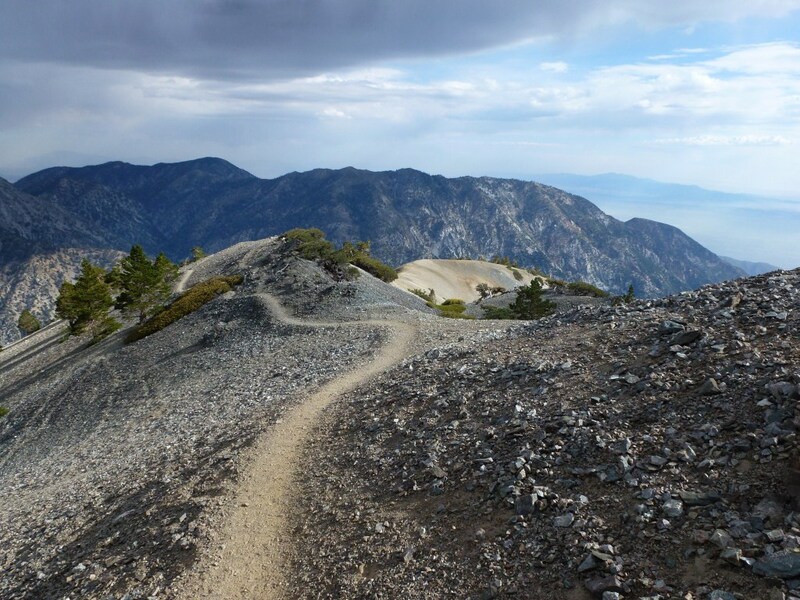 I’m planning to go up the Fish Fork and Dawson Peak Trails from the Lupine CG this summer. If I can get someone to help with a car shuttle with me I’d like to do the hike you describe! The vertical shot of the Bristlecone or Limber Pine (shot 3294) in your first gallery is framed and on my office wall, almost the exact same shot and lighting, with my brother and I standing next to the base. I would love to know how long ago that bad boy sprouted. It’s bigger than the Limber Pines up on Baden-Powell. It’s a Limber Pine and they are among my favorite trees. Pretty cool that you have almost the same photo in your office. For sure it’s been around longer than we’ve been a country. The Wally Waldron Tree on Baden-Powell is thought to be around 1,500 years old. Hi Kyle! I met you on the trail yesterday and you pointed out the beautiful garter snake. Thanks for that! 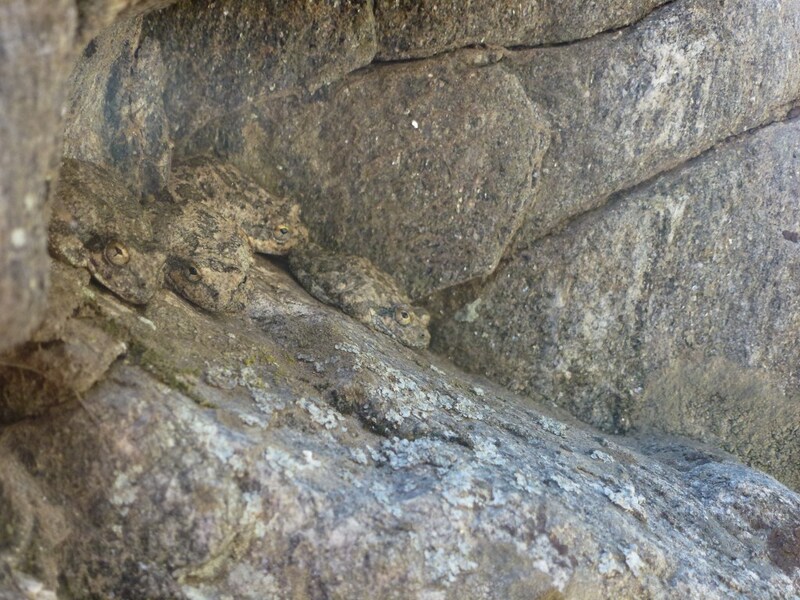 Here is a website to help you identify the snake: http://www.californiaherps.com/identification/snakesid/gartersnakes.id.html The bug identification website that I was telling you about is: http://www.whatsthatbug.com/ I hope to see you on the trail again sometime soon. Meanwhile, I look forward to your blog updates. Thanks for the links! Nice being able to share my snake sighting with someone. I also hope to see you again on the trail. I’ll be posting the snake we saw for this week’s nature question (sometime Saturday or Sunday) as I’m never sure I identify correctly and like confirmation. Great site! I’m the guy you met today on the trail to Switzer Falls. I love your site and your photos. I’ll be sure to tell my son to get in touch with you when he’s getting ready to head out on the PCT later this year. Thanks, great talking to you today and hearing from you. I look forward to following your son’s adventure! Thanks for following my blog, I love hiking so enjoying your posts. Hi Kyle, I grew up in LA but never did much hiking there, so I was very glad to find your blog and read about what I have missed! Your photos are excellent, and the posts are rich with good information. I look forward to following your trips. Sue, you are not alone growing up in LA and not finding your way into the forest. I seldom went over my first 46 years growing up here. Great to hear you like my blog, thanks! Mt. Whitney, an awesome goal. May your outdoor quest never end. Making to the summit of Whitney was fantastic. This summer I’m thinking about hiking the John Muir Trail. Pretty safe to say that I’m hooked. It’s cool to come across your site because beforehand I had no idea that there was even forest at all around LA, much less 2000 square miles of it! Your photos really bring the place to life, too. Really cool idea for a blog. This is awesome! great blog. I need in depth resource about hiking the Angeles and SoCal. Thanks! Also, feel free to send me questions through my contact page. I’ve only been able to post a small fraction of the hikes I’ve done on this site so far. Thanks for checking my blog out Kyle, I am enjoying yours too, great photos!! Thanks for stopping by my blog. And thank you for creating your blog. It’s a great resource and is inspiring me to expand my hiking repertoire. As a fellow outdoorsman I just wanted to say thank you for following my blog. Keep on trekking and taking awesome photos of your experiences! You’re welcome and thanks for following me as well. I enjoy your unorthodox perspective! Great hikes and photos! Please make sure to encourage your readers to tell a friend where they are going and when they will return. If nothing else, leave a note in your car for rescuers to find. Thanks for stopping by my blog. I’m looking forward to seeing the rest of your posts on your adventures! You’re welcome and thanks for stopping by mine. Amazing how many cool natural sites there are! Very inspirational! I hope to hike the forests of the west coast someday. You have created a beautiful blog. Excellent blog, vast resources here. I loved your pictures of the Devi’s Backbone. Haven’t been there in more than 10 or 15 years. You have inspired me to go back. I did Mt. Whitney the first time on the weekend beginning August 1990. I remember it because when I got back to the car and turned the radio on I found out that Iraq had invaded Kuwait. Enjoy Whitney. I hear it’s a zoo these days. I was at Whitney Portal in summer 2010. Spectacular views. Thanks for stopping by the blog again! Great point on the helpfulness of maps. You might map out a longer distance hike, only to realize there’s been a storm recently making an easy trail seem more like jumping hurdles over fallen trees! I have to remind myself of this again and again. Take care! Thanks Kyle! Keep the posts coming. Love to see new hikes added! Great inspiration to get off the couch and enjoy the outdoors. All the best. Thanks for your nice words and there will be more hikes weekly (though I might not write a post, they will show up in the various tabs). Also, loved your post on Following Frodo’s Footsteps. It’s now a hike I hope to do one day! 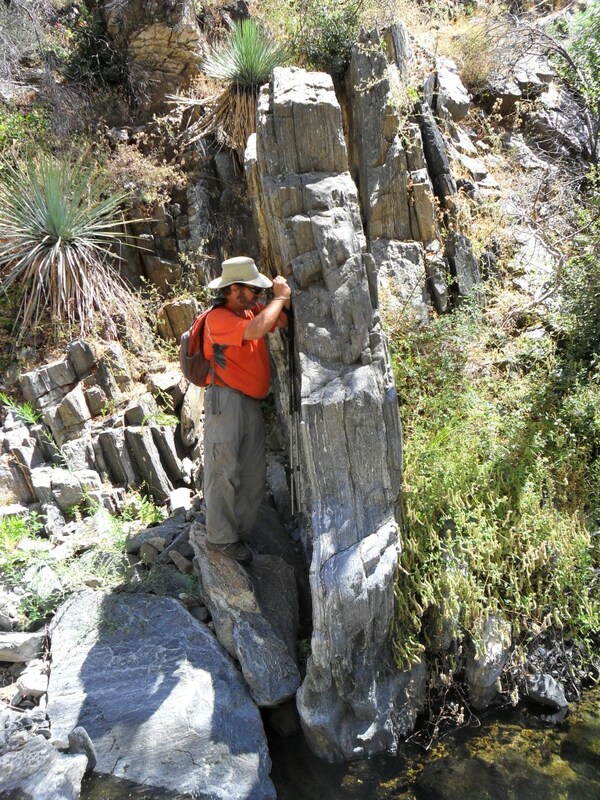 Kyle, thanks for liking my little post about the Arroyo Seco Canyon. I’m really enjoying your photos, the broader view of the area that you’re providing, and your story of belated discovery. How close do you live to this area? Thanks for visiting my site! 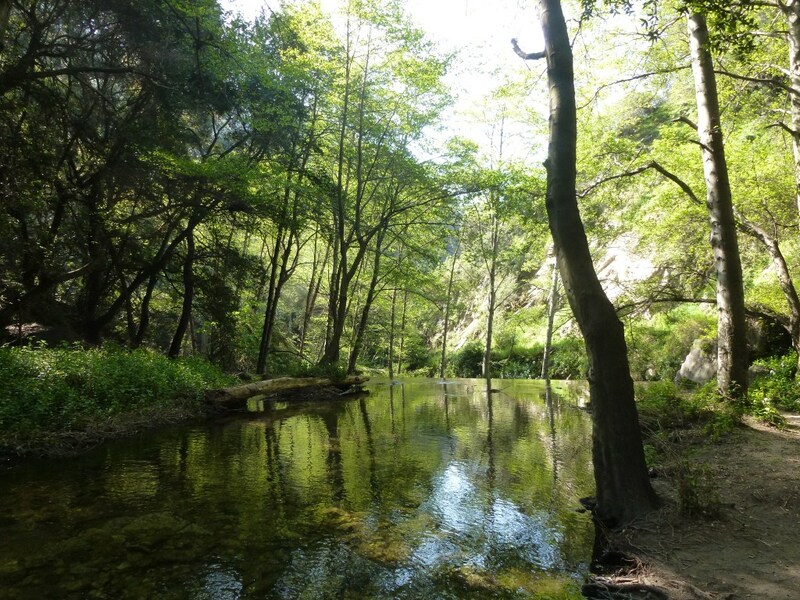 I live in La Crescenta–about 15 minutes from your hike along the Gabrieleno Trail. I’ve done that one a couple times and have really enjoyed it. I love all the bridges and the varied terrain–and of course the dam near Paul Little campground. Eventually, I’ll post it on this site. Kyle, thanks for stopping by my site. More importantly, thanks for your story. Several years ago, I re-discovered a childhood love…hiking. Thanks for stopping by my site too! Thanks for visiting my blog Kyle. Love your photographs – absolutely stunning. What wonderful trails – whetting my appetite for getting outside on a long jaunt. You describe exactly how I felt when I started out my hiking adventures in SE Alaska. I had lived there nine years surrounded by spectacular beauty but hadn’t really seen or experienced anything. My goal was to hike 50 trails in 52 weeks. I did that in six months and learned so much. It really changed my life. I wrote a blog about those adventures and then started a new blog when I realized that my life had changed so much as a result. Thanks for stopping by my new blog and thereby introducing me to yours. I am back in WA State now and trying to figure out how to get “adventures” back into my routine. They really are what makes life worth living. It’s amazing how close and easy to get to these adventures are. Have you spent much time in Olympic National Park in WA http://www.nps.gov/olym/index.htm ? I went there with my family a while ago and could not believe the range in ecosystems. Good luck with your new blog. Thanks Katharine, I’ll check it out. Good luck with your training too! Hi Kyle, Thanks for liking my post, “Hiking in the Fog”. It truly is amazing the things you see when you are off the beaten path, using your internal compass to take in all that is breathtaking. My big hiking goal is the Camino de Santiago in Spain (check out Spanish Steps). Best…. You’re welcome. I’ve had a few days hiking up into the clouds or being just above them. Always amazing! I hope you make it to the Camino de Santiago soon.